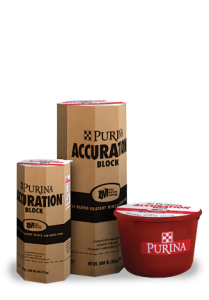 Purina Accuration Hi-Fat Block is a self-fed, high-fat protein supplement with Intake Modifying Technology. It delivers 10% fat and provides additional energy to help balance forage nutrient deficiencies. When forage is deficient, your cows need additional energy to remain high-performing and productive. That’s what your bottom line is all about. Come in and talk to us at H&S Feed & Country Store about protein tubs for your cattle. We’ll set you up. This entry was posted on Thursday, November 1st, 2018 at 2:54 am	and is filed under News & Updates. You can follow any responses to this entry through the RSS 2.0 feed. Both comments and pings are currently closed.